Guadeloupe is an island that covers more than 1,600 sq.m. Easily identifiable thanks to its butterfly shape, it offers a wide variety of landscapes from Basse-Terre to Grande-Terre. VillaVEO, an agency specializing in personalized holiday rentals, has a wide selection of villas and apartments for you to choose from, on the beach or with a sea view, making it possible for you to discover Guadeloupe's diverse landscape. On Grande Terre, the southern coast is lined with white sand beaches. From Gosier to Saint-François, seaside resorts and beachfront holiday rentals abound. 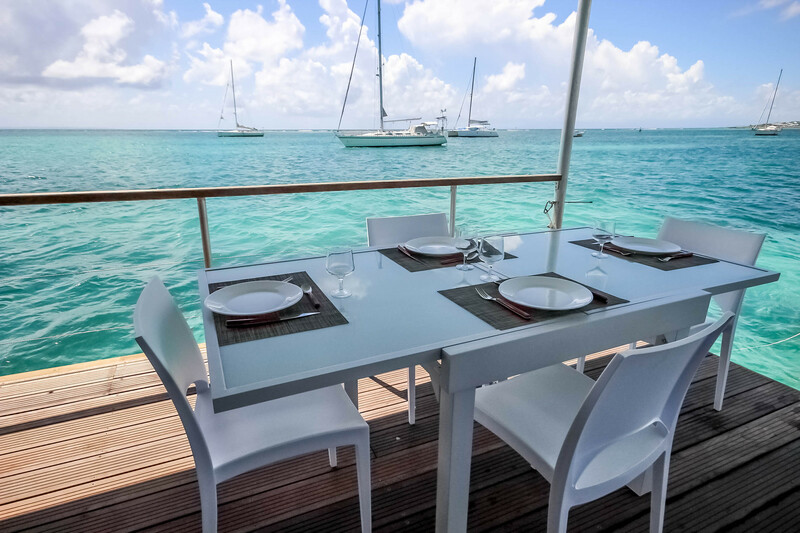 Le Gosier is the perfect spot for discovering Guadeloupe's beautiful beaches and enjoying the night life at the marina with its bars and restaurants. Kitesurfing enthusiasts will have their heart set on a beachfront villa in Saint-François for quick proximity to La Pointe des Châteaux, an ideal setting to indulge in boardsports or a rental with a sea view in Saint-Anne where Bois Jolan beach is another ideal kitesurfing spot. Surfers will prefer a beachfront rental on the Atlantic east coast of Grande Terre, near Moule where you'll find waves for everyone, from beginners to the most experienced. Basse Terre is considered the island's green lung boasting a national forest covering a large portion of the right wing of Guadeloupe and offering a wide range of tourist activities. The Caribbean west coast is just as beautiful, especially for diving enthusiasts. By selecting a beachfront rental on this coast, you'll have easy access to the most breathtaking dive spots. Your vacation is sure to be a successby choosing a beachfront villa in Guadeloupe.